I was raised in a family that was quite fond of small, European cars and yeah, that kind of thing rubs off. About 10 years ago I snagged a cherry red 1975 BMW 2002. "The Whispering Bomb" just does something to you. It's able to produce all of those amazing driving sensations at relatively low speeds. It's just fun. In 2004 I lucked into a lightly-used 1999 ///M Coupe as my daily driver. It's a car that elicits one of only two responses. People either absolutely love it or totally hate it. No matter what anyone thinks, you can't go anywhere in that car without every STI-wielding sweet bro trying to take you off the line. 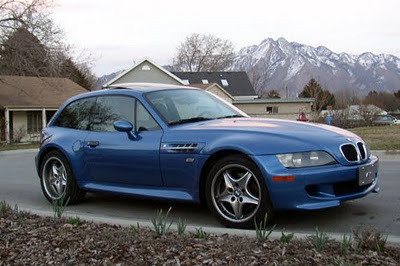 As much as I dig the ///M Coupe, it was clear that wasn't the ideal fit for my personal style. I traded her in for a brand new 2006 MINI Cooper S and fell in love. 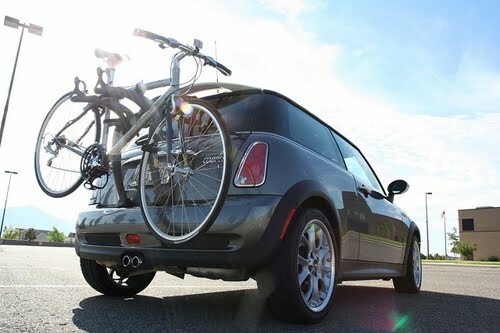 Driving a MINI, you find out quick that it's an amazing balance of sport, economy, luxury, style and most importantly personality. When I switched from the ///M to the MINI—of course there was a power difference. However, and I've discussed this with others who have made a similar switch, the MINI is just such an even and all-around balanced driver. You can have fun in every gear. And on the one set of twists on my way into work, I swear the MINIs go just as quick around them (with a little more control even). Once I got the MINI another surprising thing happened. I didn't drive the '02 as much any more. It's like the MINI fulfilled both my sporting and retro needs at the same time. We decided to sell the '02 to a kid with some decent mechanic skills. He's taken good care of it. We sold it for exactly $2,002.00. I thought I'd graduated to the ideal vehicle up until I saw the very first images of the Clubman. 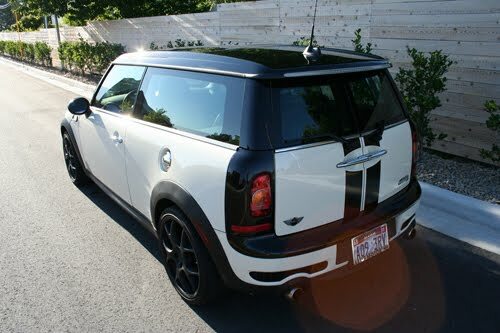 With the right accouterments, I feel like my 2009 MINI Cooper S Clubman sports an amazing combo of both approachability and aggressiveness. Mrs. Kyality thinks it's cute, yet I still get approving nods from guys in GTIs. I saw your post on Motoring Con Brio about BMW's. I also noticed you work at Struck here in SLC? My wife is a graphic designer and loves the agency. 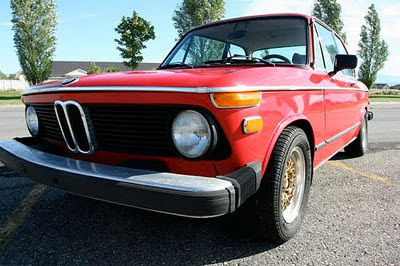 Anyways my heart is with BMW and have owned a lot in the past and currently have a 2002 I am working on. I also run a web series called Depth of Speed(http://depthofspeed.com/) and am always excited to find those who share the same passion here in SLC. What I like about that Mini Clubman is the contrast between the dark stripes and the white overall paint of the vehicle. I've also had the chance to take that out for a test drive, and I have to tell you, it drives like a gazelle! So easy to handle and turn around the corners!